I put myself on a makeup spending freeze. I love trying new makeup, but I already have soooo much. Besides the search for new concealer and foundation, I've been pretty good about not buying anything new and fun. I do allow myself to replace staple items that run out. 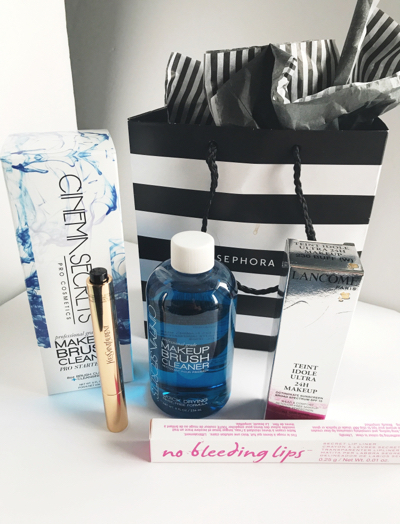 I recently replaced a couple of my faves-cinema secrets brush cleaner and bleeding lips clear liner. They're both from Sephora and everyday staple items. I went to ulta to buy a different, cheaper foundation and got talked into this Lancôme 24 hour foundation. I like it. It goes on really smooth and wears pretty well. It is on the pricier end, and I'm still a little on the fence about the value for the price. 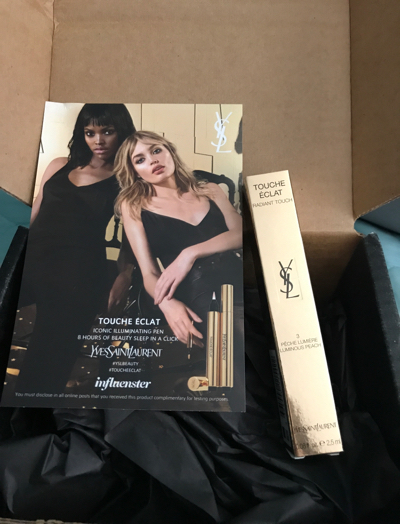 Because I haven't really been buying anything new just to try it out lately, I was really excited influenster sent me those YSL illuminating pen. It goes on really well and they matched my color perfectly. I don't necessarily see a huge difference in using it or not but it's kind of fun to have. 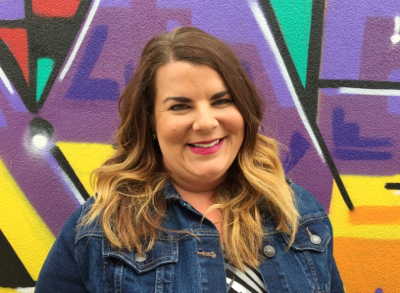 And finally a confession...I caved and bought lipsense. It is really pretty. I love the extended wear. I'm still not converted to wearing it every single day of my life AKA never wearing all the tons and tons of other products I have and love, but I do like it. Your turn. What new products have you purchased lately?